Cecile Chong, is a mixed media artist whose work addresses the process of cultural assimilation and the development of individual identity. She is also a participating artist in this year’s Benefit Auction,“Forever 39” , coming up on April 4th. Cecile was born in Ecuador of Chinese parents, and her early schooling took place in Ecuador, Macau, and China. Her exposure to different cultural traditions and ideas has driven her fascination with how these influences are acquired, represented, and interpreted. She is interested in how cultures copy each other, and how borrowed ideas often find their way back to the original culture in curious ways. The work she has contributed is called Going Places (Blue), and is a work in encaustic and mixed media on a found skateboard. She has exhibited work at El Museo, Wave Hill, Kenise Barnes Fine Art, Corridor Gallery, Sue Scott Gallery, Praxis International Art in New York, and with the Cynthia Corbett Gallery in London. 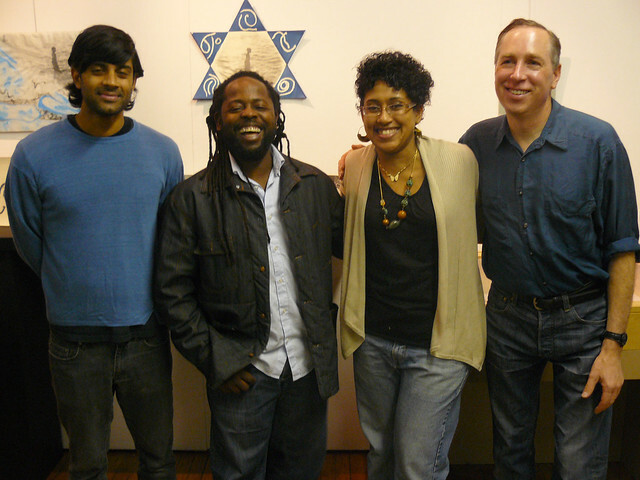 Fellowships include The Center for Book Arts, Socrates Sculpture Park, AIM 2011 Bronx Museum, Urban Artist Initiative NYC 2010, Aljira Emerge 10, and the Joan Mitchell Foundation MFA Grant 2008. Cecile’s work is in the collections of El Museo, Citibank Art Advisory, Peggy Cooper-Cafritz, Carmen Ana Unanue, and other private collections in the U.S., Europe, and South America. Her work has been reviewed in El Diario La Prensa, Singtao Daily, and The New York Times. She received an MFA from Parsons The New School for Design in 2008, and MA from Hunter College, and a BA in Studio Art from Queens College. Cecile lives and works in New York and is currently part of the Elizabeth Foundation for the Arts Studio Program. Cecile was one of our Artists-in-Residence last year at the Center for Book Arts, and the work she produced here will be featured in the 2013 Workspace Artists-in-Residence exhibition at The Center for Book Arts this spring, opening April 18th. To browse the works in this year’s auction and place a bid even if you can’t make it to the main event, click here. To view Cecile Chong’s art and to learn more about her, visit her website. Over the summer, we devoted Fridays on our blog to featuring some of our past artists-in-residence, and we ran our first ever crowdfunding campaign to raise funds for our two residency programs. In case you haven’t seen yet, we reached 108% of our goal and raised $8,615 to support the 8 residents per year we host at the Center. Thank You to everyone who donated, emailed, shared, tweeted, blogged, and in any way spread the word to make this campaign a success. 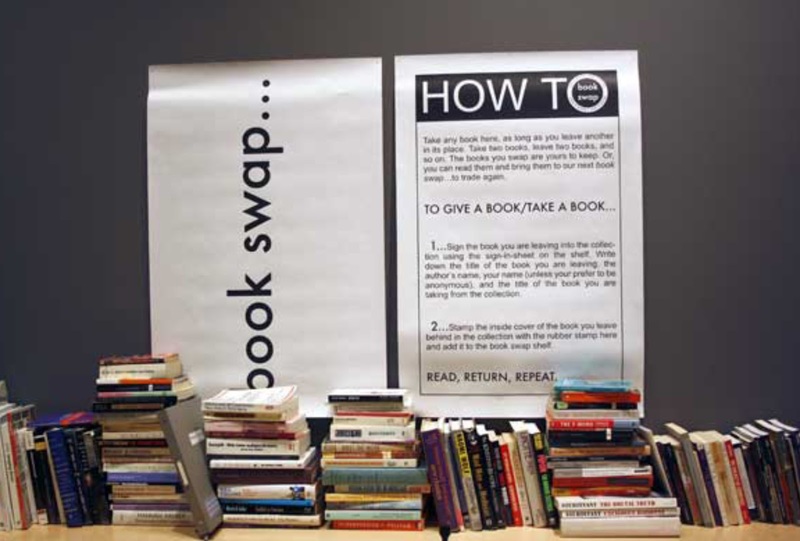 Now, here’s your chance to become an artist-in-residence at the Center for Book Arts. We are accepting applications for our 2013 Artist-in-Residence Workspace Grant for New York Emerging Artists. Click this link to download the application and submit your materials by October 15 (postmark date). Do stay tuned this fall for more Friday Insights into the daily life at the Center! Thank you to all who have made pledges and shared the WeDidIt campaign link with your friends! As of this Friday morning, we are at 15% of our goal to raise funds for our artist residency programs. And of course, check in on how we’re doing at WeDidIt — we are trying to raise $6,800 more in the next 31 days! 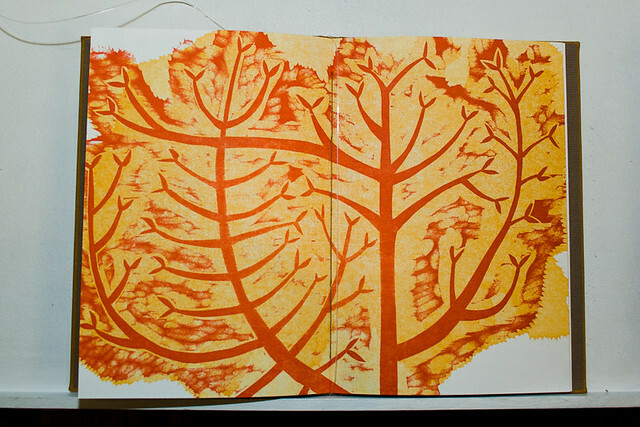 Resident artists at the Center for Book Arts are not necessarily experienced in book arts. In fact, the Artist-in-Residence program is designed to promote experimentation in book arts, and each year artists from all disciplinary backgrounds are encouraged to apply. 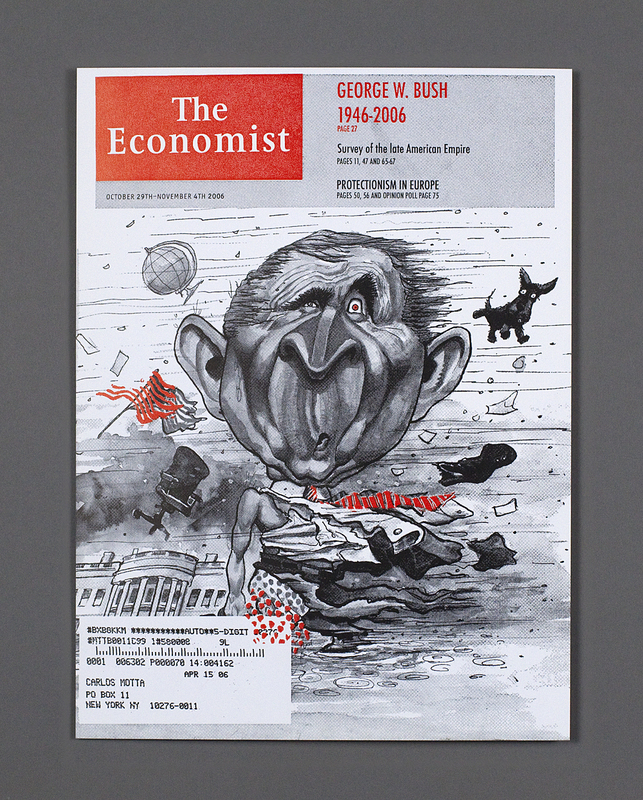 [The Economist] / Carlos Motta / Letterpress printing of a fictional cover of the serial publication The Economist which depicts an image of George W. Bush. Carlos Motta is a name that you might have heard before. He’s a multi-disciplinary artist who has been shown at major New York institutions such as The New Museum, The Guggenheim, MoMA/PS1, and quite a few more, with solo exhibitions in Norway, Sweden, Vienna, and China among the bunch. 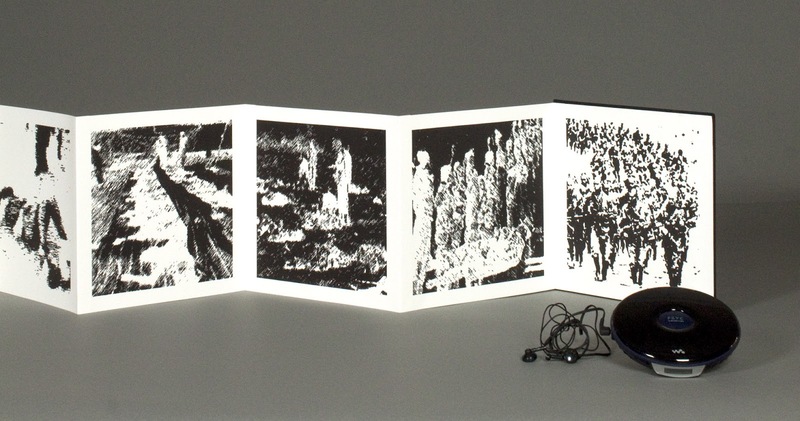 SOA / Carlos Motta / Oversize black, rectangular clamshell box that contains a compact disc walkman, earbud headphones and a board bound, accordion book with black cloth, and prints. 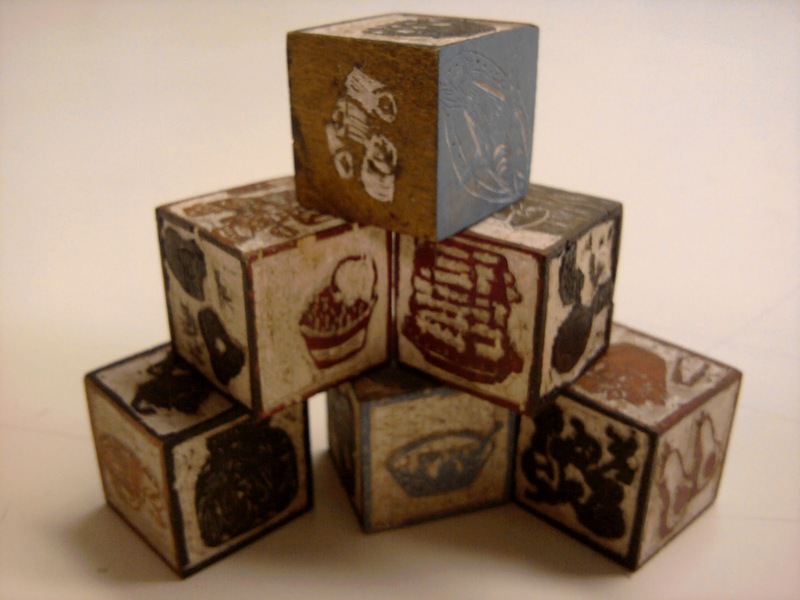 We’re proud to claim Carlos as a past artist-in-residence here at the Center for Book Arts! While in residence he worked on the above project, SOA, which turned out to be the beginning of a larger body of works, SOA Cycle, that he developed over several years. You can learn more about the project on his website here. It’s funny where art comes from, or what inspires you… you just never know. So keep plugging away in your spare moments; be it in your studio or dining or kitchen table, or an empty spot on the floor. Workspace Artists in Residence 2011 is when the Center for Book Arts invites four emerging artists to work int he studio. The artists took classes and learned bookmaking techniques and incorporated them into their own artistic practices. Please join us for Colin McMullen and Liz Linden’s artist talk at 6:30 PM on June 20th . They will be speaking about alternative library projects. Emcee C.M, Master of None or Colin McMullan, is pursing a variety of practices aimed at building a vital sense of community and mutual responsibility on a human scale, through a series of self-organized meals, furniture, architecture, vehicles, workshops, talks, tours publications, films and exhibitions. This voluntary civic work is about approaching his immediate environment with generosity and wonder. A calling to develop sites and systems of social exchange informs his work. he believes strongly that the answers to all of the complex, buy provigil in thailand layered problems that confront us individually, collectively and globally, are really lying at the tips of our fingers. Our drive to work, to improvise, to constructively innovate our experiences of the world, promises a perpetual condition of hope. Odd Jobs, 2012 Edition of 200. 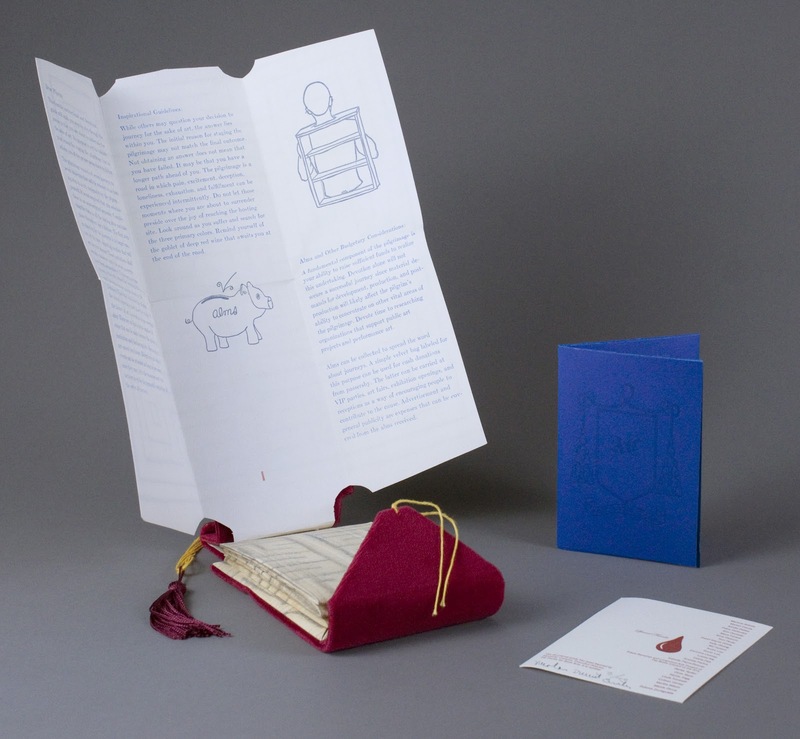 A handset letterpress, an accordion book masquerading as a business card, and original list poem displayed in homemade business card holder. 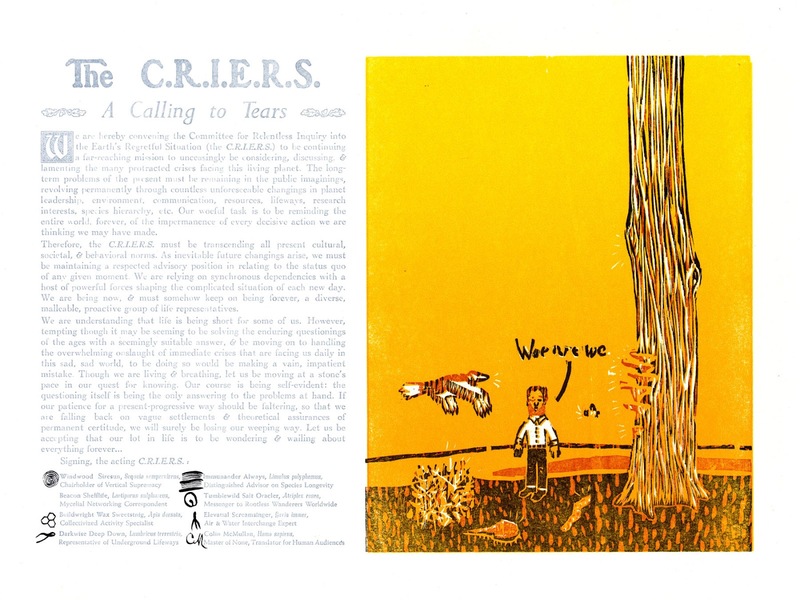 This is my favorite piece, it includes cheesemonger, calligrapher, deal breaker and sitter.This huge list of past occupations and experiences is so appropriate because Emcee’s life reflects his work; it shows great variety in medium and approach but with an overarching spirit of playfulness. Want to give us suggestions or comments? Comment on this post, email us at info@centerforbookarts.org, visit us on Facebook (/centerforbookarts) or follow us on Twitter (@center4bookarts). Liz Linden is one of the artists in residence for 2011. Her work is shown at the center until June 30th along with James Case-Leal, Heidi Neilson, and Colin MCMullan. Liz Linden’s work points to the contradictory messages transmitted by the form and the content of the objects that make up our immediate environment, often referring to literary theory and semiotics. She frequently uses appropriation in her work because it is an inherently feminist political operation, enabling her to question the power relationships at work in a given object by acting directly upon that object itself. Her work is often succinct, using humor or irony to momentarily make simple what are, ultimately, the overwhelming questions raised by the neoliberal landscape. 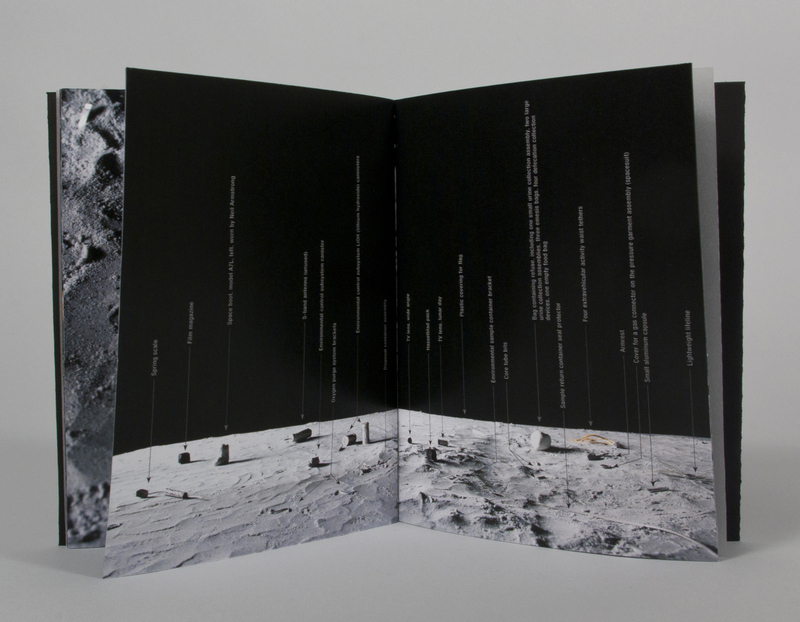 Liz Linden’s book SPREADS is archival inkjet prints in a hand-bound book. The book is covered in red fabric that you have to wear gloves to flip through the pages. Its bigger than your average book, so the pages feel heavier than expected and it makes you feel a little bit smaller than usual. Inside the book, images of women spreading their legs inside are not what you’d expected from a subtly bound book at the beginning of the exhibition. The artist’s sense of humor comes out when you see that the legs of the women emerge from the crease of the book. The subtle exterior of the book is balanced by the explosive color and content . It shocks, it amuses, and its a great piece. To see more of Liz Linden’s work, visit her website. Tonight, Wednesday, May 16, three of our 2011 Workspace Artists-in-Residence will be speaking at the Center, James Case-Leal, Colin McMullan (M.C. Master of None), and Heidi Neilson. If you haven’t had the chance to see the wonderful work they produced during their residency here, in our Studio Galleries Featured Artist Project, attending tonight’s talk is a great opportunity to see and learn about the artists, their artistic practice, and about the program. This program has grown over the past few years and has become a vital component of the Center’s programming. A main focus for the Center as an organization is providing and advancing individual artists’ careers, while reinforcing our mission of presenting book arts within a broader context of contemporary visual and literary arts. Bringing in a range of emerging artists to work in our studios helps us achieve these goals. The exhibition just closed at the Minnesota Center for Book Arts and opens at the end of this month (31st of May) in Houston at the Museum of Printing History. Carlos Motta was a resident at the Center in 2005. 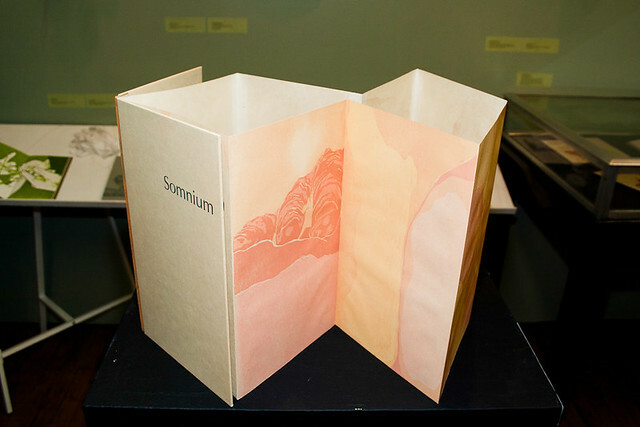 During this period he worked on a major new piece, SOA (School of the Americas), a large book, created entirely at the Center, which includes a hand-bound book of letterpress printed images, which are distorted snapshots of military operations, as well as a portable compact disc player with headphones for playing an audio piece that accompanies the book. The audio is a recording of the speech given on the occasion of the closing of the School of the Americas. Both are contained in a specially-built handmade box. This work proved to be a milestone piece in Motta’s career, and formed the foundation for a series of new work that was exhibited at the Jersey City Museum, and which was instrumental in quickly accelerating his career. In June 2008, Motta, who is primarily a photographer and video artist, was awarded a Guggenheim Fellowship. Since then, he has had solo installations at PS1, including his piece SOA: Black and White Pain-ting #15, which is a continuation of the series he began at the Center. Nicolás Dumit Estévez was a resident at the Center in 2006, during which time he produced For Art’s Sake: A Devotional Guide, in collaboration with Ana Cordeiro and Amber McMillan. 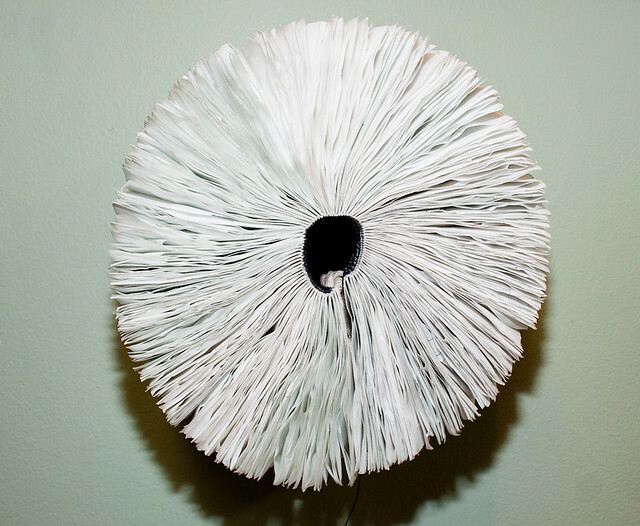 This work exemplifies the hybridized and intellectually innovative nature of book art, and was incorporated into a complex piece of performance art. Through the creation of this book, the important humanistic themes of Estévez’s work were able to be combined into a cohesive object for expression, and he has chosen to continue to use books in his practice. He went on to complete a second major project at the Center, 32 Letters to My Dentist, which has been featured in an exhibition at Lehman College, New York. He was recently awarded grants from Art Matters and Printed Matter to publish his new work, Borderless, in which he traces his roots in his native Dominican Republic. Estévez, primarily a performance artist before he came to the Center, now has applied the techniques and understanding of the book arts that he gained here to further his career and create new and important works. 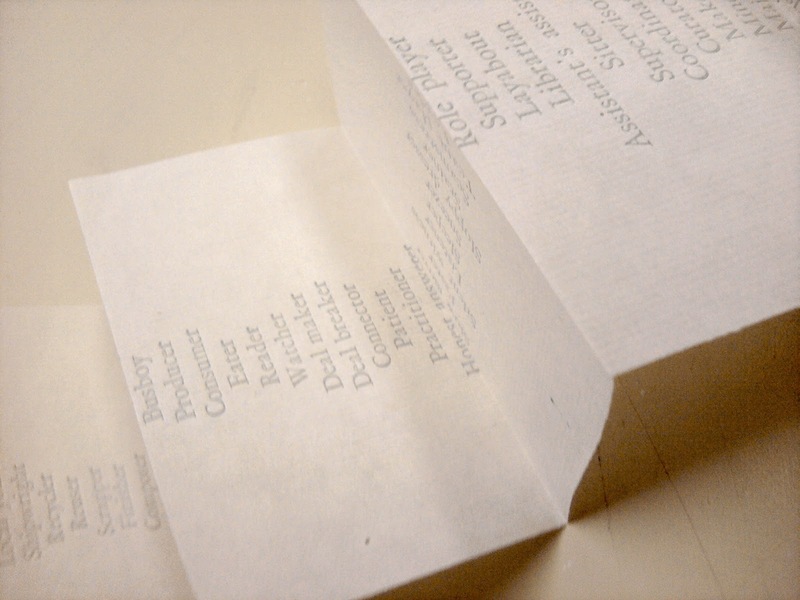 Catarina Leitão was a resident at the Center in 2007, during which time she created Weatherproof, her first limited-edition letterpress artist book. 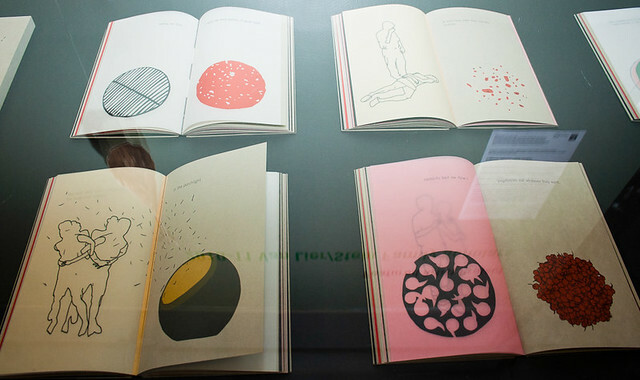 Her major work at the Center was Uplift, a series of seven handmade, letterpress pop-up books, created in an edition of five. 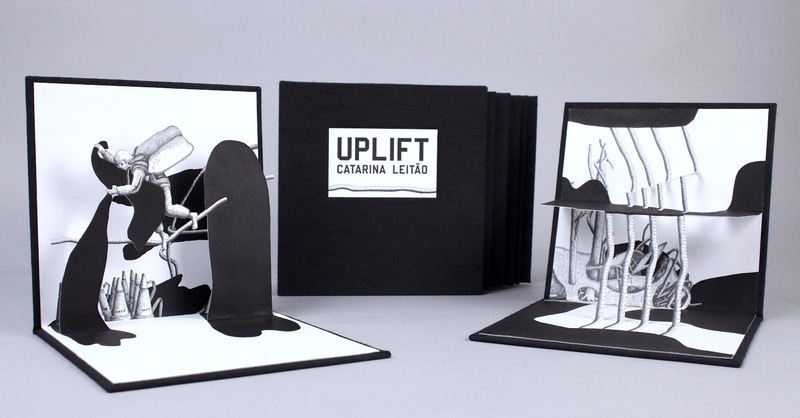 In 2009, Upliftwas highlighted in an exhibition at the Aldrich Contemporary Art Museum, and Leitão also received a grant from the New York Foundation for the Arts in the category of Drawing/Printmaking/Artist Books. Before coming to the Center, Leitão worked primarily in sculpture, but struggled with the space constraints associated with that art form. During her residency, she discovered methods – in particular pop-up paper engineering – that allowed her to realize her goals as a sculptor while allowing her to make her work collapsible, and therefore manageable in scale and portable. She continues to apply book arts techniques in her work. Several other artists who have been in residence include Manuel Acevedo, Tomie Arai, Terry Boddie, Cesar Cornejo, Chitra Ganesh, Hadassa Goldvicht, Tal Halpern, Josh Harris, Wayne Hodge, Wennie Huang, Yoko Inoue, Rajakamal Kahlon, Gautam Kansara, Katarina Jerinic, Jennie C. Jones, Isabelle Lumpkin, Marian St. Laurent, Ivan Monforte, Shani Peters, Zoe Sheehan-Saldana, Karina Aguilera Skvirsky, Ginger Brooks Takahashi, Tattfoo Tan, Juana Valdes, Angie Waller, and James Walsh. We will be featuring those artists’ works that are in our permanent collection in upcoming blogs. Do attend tonight and find out more about the workspace residency program and the Center’s permanent collection. Have any stories about your favorite piece of art at the Center? Want to give us suggestions or comments? Comment on this post, email us at info@centerforbookarts.org, visit us on Facebook (/centerforbookarts) or follow us on Twitter (@center4bookarts). Can’t wait to see you there! 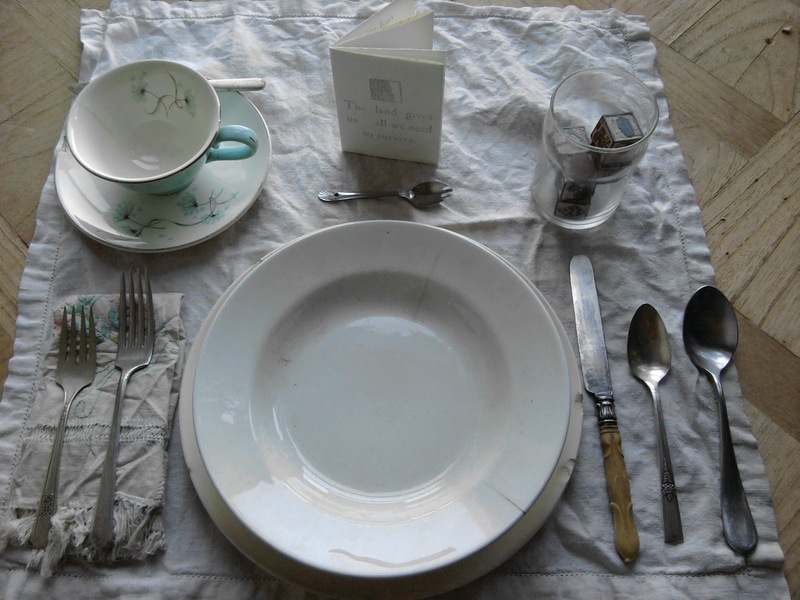 Last week we took a look at the Workspace Artist-in-Residence program. That program, for five artists working mainly in other mediums, is actually only one of our two artist in residence programs. 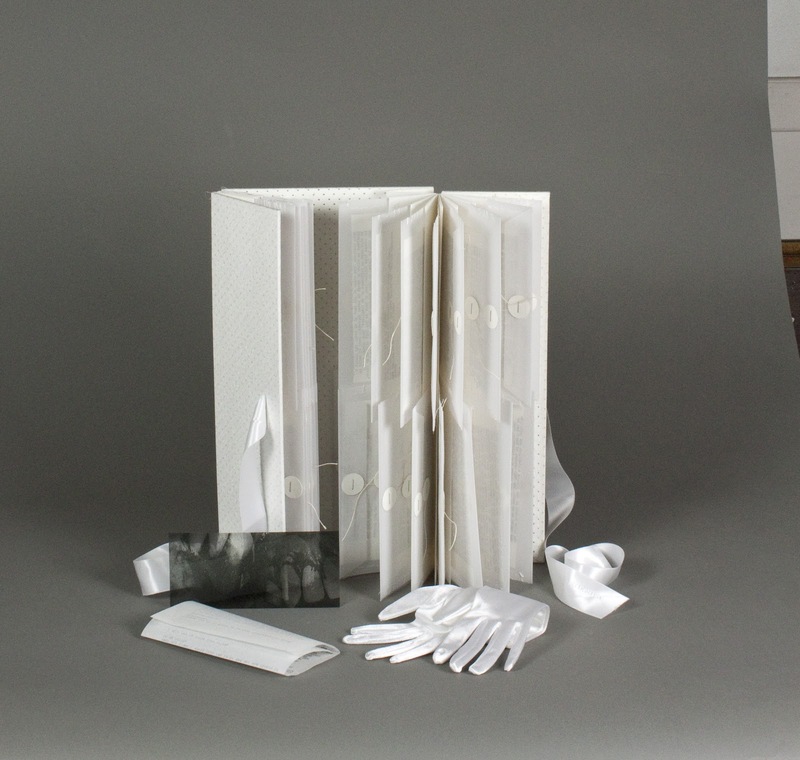 The second, our Scholarship for Advanced Studies in Book Arts, brings into the studios two to three practicing book artists, recent graduates of book arts programs who are looking for support for their studio practice. The purpose of this program is to provide opportunities to emerging artists committed to developing careers in the book arts field, and to further the growth of the field. Our Scholars receive a stipend and materials budget, 24 hour access to the studio facilities and free classes for a year, during which they are expected to develop and execute a new body of work. I meet with the scholars bi-monthly as a group over the course of their time here at the Center to talk about their work in progress, to give them new ideas and resources to pursue and to get feedback about their work from a group of their peers. It’s definitely one of the most rewarding programs we work on here at the Center. This year we’re glad to have with us Natalie Stopka, Celine Lombardi, and Sara Parkel. All three are in the midst of developing exciting new work to share with you, and I’m really looking forward to seeing the final result. Their projects will be on display here in the fall of 2012, so keep an eye out later in the year for that. In the meantime, you may be thinking to yourself, how can I get in on that? The answer is simple: apply for next year’s scholarship– the postmark deadline is coming up on May 1st and the call for entries is up on our website here under opportunities. Have any questions about being an artist in residence? Or any of our opportunities for artists? Want to give us suggestions or comments? Just want to say hi? Comment on this post, email us at info@centerforbookarts.org, visit us on Facebook (/centerforbookarts) or follow us on Twitter (@center4bookarts). Can’t wait to see you there! In this week’s Wednesday Exhibitions, we talked about the new exhibits that are currently being installed at the Center for Book Arts for next week’s opening on the 18th. One of the three exhibits is the annual Workspace Artists-in-Residents show, a display of the work completed over the last year by our four resident artists for 2011. But just what is the Artist-in-Residence program? The Center for Book Arts offers an “Artist-in-Residence Workspace Grant for New York Emerging Artists” each year. Up to five New York-based emerging artists are offered space, time, and support at the Center to explore the production and exhibition of artist’s books and related work in year-long residencies. This program is specifically tailored for artists who are new to making books, who work in other mediums, in order to bring new approaches into our studios. The program helps to promote experimentation in making book art, allowing the artists to try new techniques and push the limits of “book art” without the burden or fear of wasting workspace hours and materials on something that may not work.Our goal is to help artists new to bookmaking techniques incorporate new knowledge into their artistic practice. The award is a prestigious and generous one. Last year’s award included a $750-$1,500 cash stipend (depending on funding) plus a materials budget between $500 to $1,000 (depending on funding), 24 hour access to the Center’s printing and binding facilities for a full year, and a year’s worth of classes, planned in conjunction with the staff. While the Center for Book Arts’ courses are reasonably priced, it can be difficult for artists and students to afford multiple classes, and the opportunity to take a year’s worth of free classes is incredible. 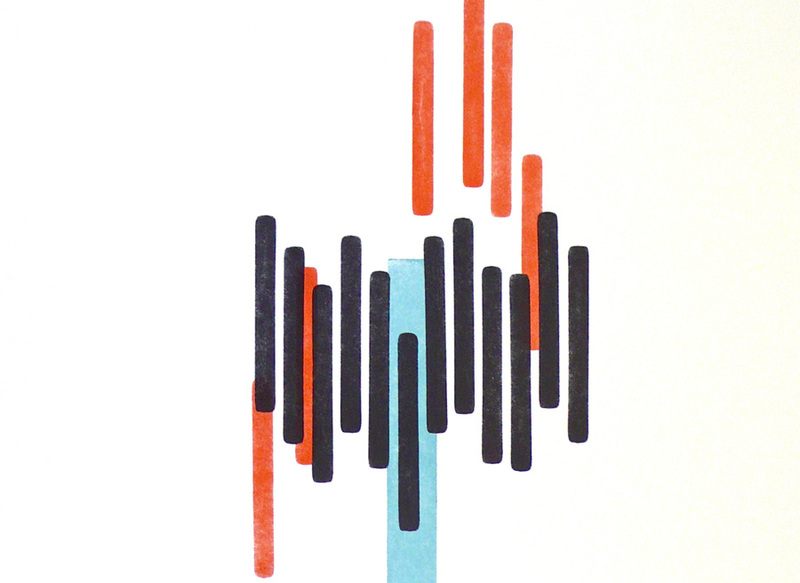 Another privilege of the Artists in Residence program is the ability to work with the experienced printers and bookbinders on staff, people who are available to advise the artists on issues of materials and techniques as they arise. The award is an amazing opportunity for working artists, and the deadline every year is in mid-October. While our 2012 Artist-in-Residence program have already been chosen, and they are already hard at work in our studios, be sure to check back in the fall for next year’s deadline! and Wednesday, June 20th-with Liz Linden and Colin McMullen. Both talks happen at 6:30pm. More information can be found at our opportunities page under the ” Artists-in-Residence” program. Th e Workspace Grant for New York Emerging Artists is made possible with public funds from the New York State Council on the Arts, a state agency, the Mary Duke Biddle Foundation, and the Foundation for Contemporary Arts. Additionally, the Center’s Visual Arts Programs—exhibitions, featured artists projects, and artist-in-residence workspace program—have been supported, in part, by Th e Lily Auchincloss Foundation, the Dedalus Foudation, and the New York City Department of Cultural A airs. Have any questions about being an artist in residence? Want to give us suggestions or comments? Just want to say hi? Comment on this post, email us at info@centerforbookarts.org, visit us on Facebook (/centerforbookarts) or follow us on Twitter (@center4bookarts). Can’t wait to see you there!